Robbie Grabarz has set his sights on making a return to competitive action this winter. 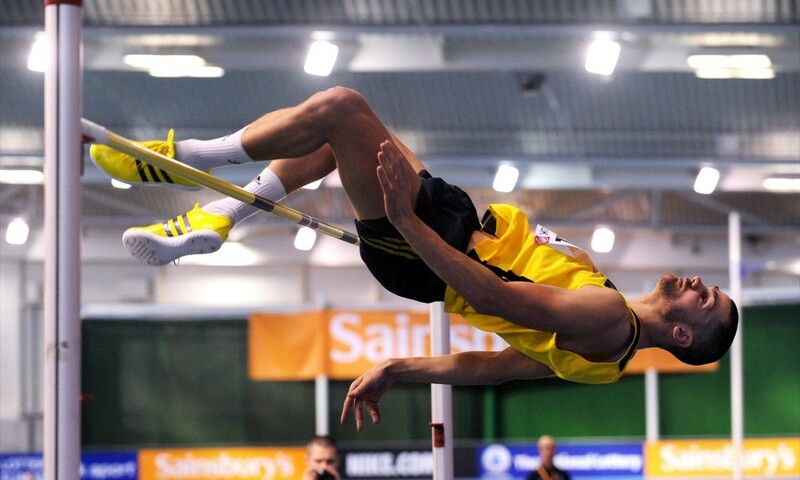 The Olympic high jump bronze medallist missed the 2014 summer season as he underwent knee surgery after suffering with an ongoing tendon problem. It meant the 2012 European high jump champion missed the chance to defend his title in Zurich, as well as the Commonwealth Games in Glasgow. But pleased with his progress, the 27-year-old says he is hopeful of making a return to competition this winter. “Everything’s going well with my training at the moment and I’m definitely aiming to be back competing in February,” said Grabarz, speaking at an event held to launch the Sainsbury’s Indoor Grand Prix on February 21. Since bagging bronze at London 2012 Grabarz has been unable to demonstrate the same sort of form which also saw him clear a joint British outdoor record height of 2.37m that year and claim overall victory in the Diamond League series. He cleared a best of 2.31m in 2013, a year which saw him finish sixth at the European Indoor Championships in Gothenburg and eighth at the IAAF World Championships in Moscow. He retained his British outdoor title, though, and followed that up with another UK indoor gold at the beginning of 2014 but then failed to make the final of the IAAF World Indoor Championships in Sopot. That was Grabarz’s last competition before he announced that he would be undergoing surgery. “It’s a long-term decision with 2015 and 2016 in mind,” he said at the time. The men’s high jump has provided some incredible global battles over the bar in 2014 with six men having cleared 2.40m or higher, topped by Mutaz Essa Barshim’s 2.43m Asian record in Brussels. UK Athletics’ belief that Grabarz can return to challenge for global medals has been demonstrated by the athlete’s inclusion in the latest wave of World Class Performance Programme selections, with the Newham & Essex Beagle part of the ‘podium’ funding list which features athletes the national governing body believes have the potential to win medals at the Rio 2016 Olympics. Grabarz hopes that his road to Rio will resume this winter and he joined rising star Matthew Hudson-Smith, another 2014-15 Lottery-funding recipient, in Birmingham on Friday to launch the Sainsbury’s Indoor Grand Prix. The pair led a masterclass for young athletes, with Hudson-Smith to also light the sky needles on the NIA, which is to be re-launched as the Barclaycard Arena in December, after dark. “I’m really excited to launch the Sainsbury’s Indoor Grand Prix and hope lots of people will come to support Britain’s athletes at the Barclaycard Arena in February,” said the European 400m silver medallist. “2014 has been an amazing year for me and I’m planning to build on this next season. I’m not that much older than many of the children in the masterclass today and I hope I’ve inspired some of them to follow their dreams as well.